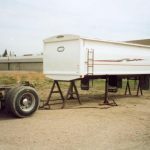 Truck Mounted Bale Deck – Cancade Company Ltd. Innovation. Quality. Dependability. 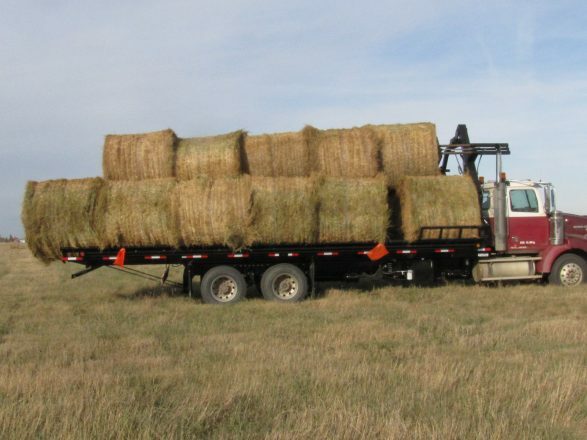 A bale deck, mounted onto a truck, allows a single operator to become an efficient method of transporting round bales. 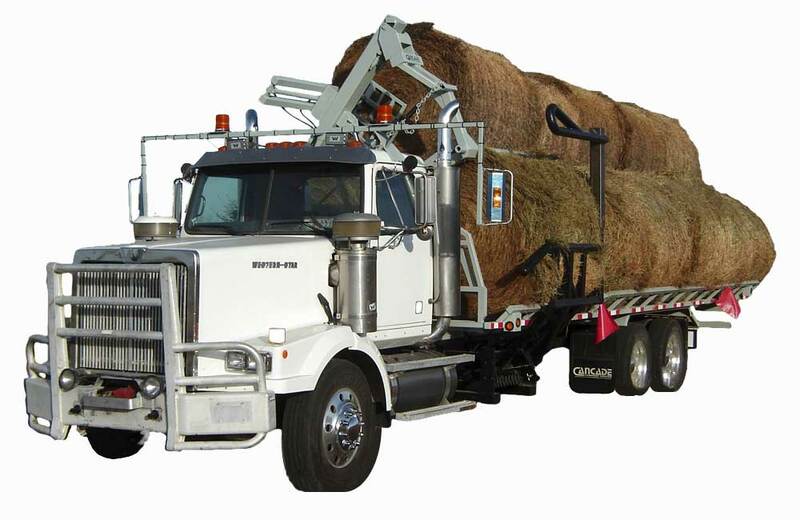 One person, one vehicle can haul up to 17 round bales in a short time. 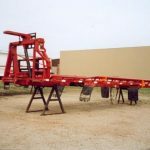 The Self-loading and Self-unloading system eliminates the need for a tractor at each end, and only one person is required. Top Loader: Reduces the stress on the deck by equalizing the weight and pressure for safety and balance. Push Plate: tightens up the top row for balance and safety. The Deck: Most rigid in the industry. 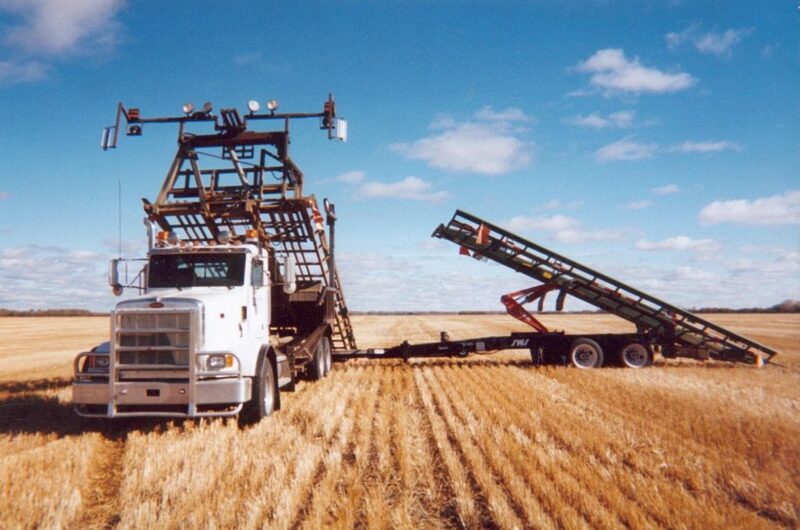 Headache Rack: The most powerful hydraulic pushing power in the industry. Flipping Table: Reduces stress and damage to loading arm. 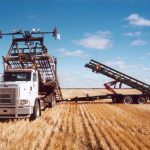 Loading Arm: Load-on-the-go! No clutch required. 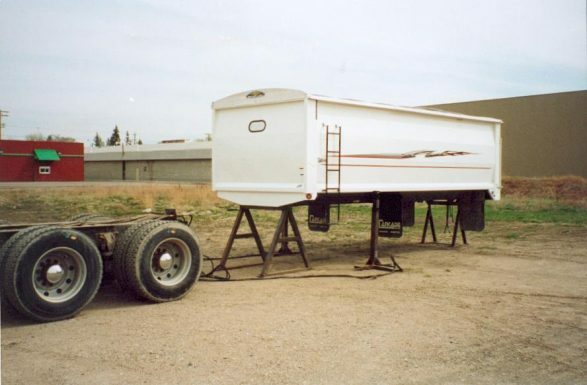 It is also mounted rigid to both sides of the truck frame. Hydraulics: Heavy duty, industrial live hydraulics. Pump: Turns off with a flick of the switch upon completion to prevent heating and wear. 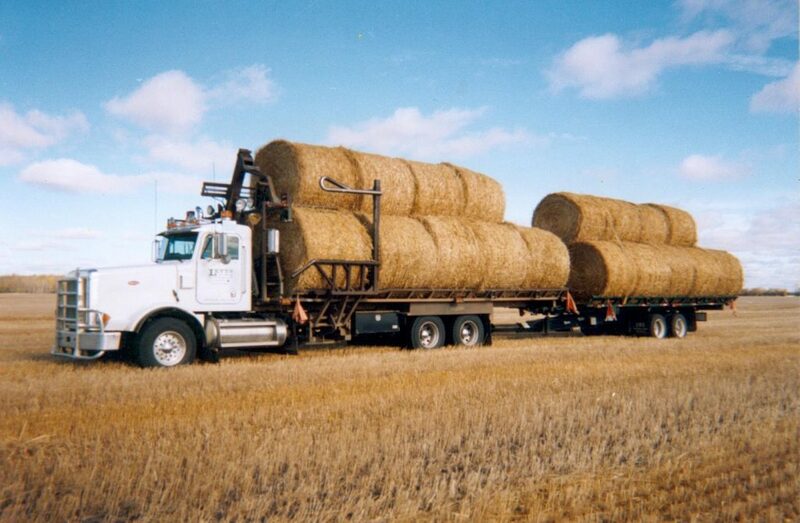 Loading the bales on the move. 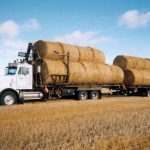 A smooth gliding motion keeps your truck moving quickly from bale to bale with no interruptions. 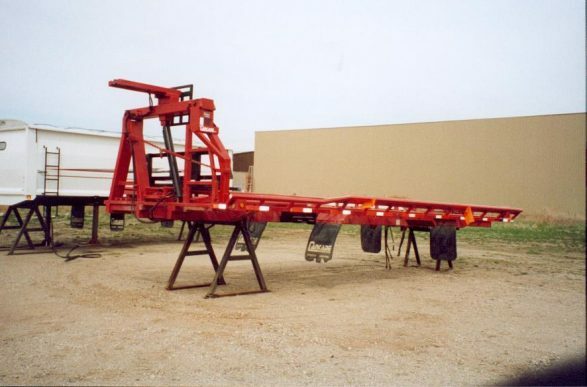 With hardly a bump, the flip table moves bales onto second row. Top loader loads the top bale and holds it in place while the truck, still on the move, picks up and loads bottom bale onto the first row in one smooth motion. Headache rack pushes the bales back making room for more bales. 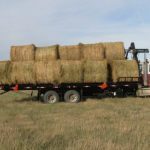 It also is used to push the bales onto the pup.